Countdown to midnight. 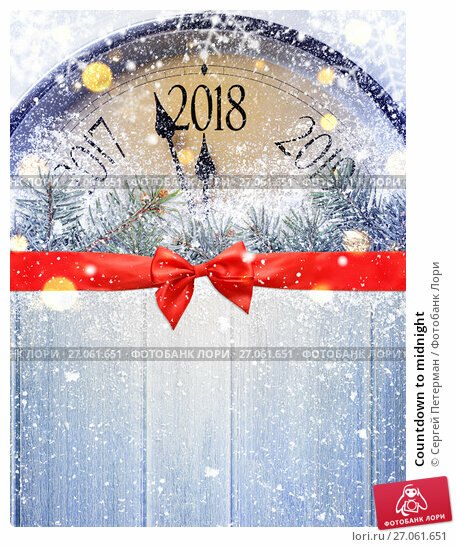 Retro style clock on wooden table is counting last moments before Christmas or New Year 2018. View from above.